SOR, a globally recognized manufacturer of measurement and control equipment and instruments, recently published an application note about the use of two of their products in combination. The SOR® 1600 Series level controllers are designed for liquid level and interface control applications calling for either modified percent (throttling) or quick opening (snap) pneumatic service. The device is fully mechanical and provides a pneumatic output signal. 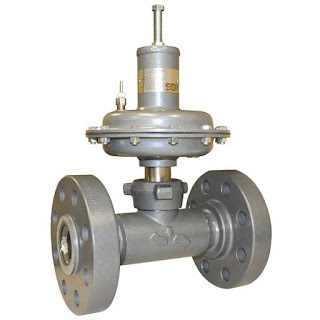 SOR's Model 1450 valve is a close-coupled control valve designed to meet pressure and erosive applications common to the oil and gas industry. The intended applications for the valves include controlling liquid level on 2 or 3 phase gas separators, gas dehydrators, compressors, scrubbers, heat treaters, well test systems, and other oil field equipment. Ease of maintenance, rugged steel construction, hardened trim, application flexibility, and a range of safety features are all designed into the product. The application note illustrates how these two products provide control of a separator. Whatever your fluid process control application, share your challenges with process control specialists, combining your process knowledge with their product application expertise to develop effective solutions. Separator Control with liquid level control and dump valve from Instrument Specialties, Inc.